Here we go! It's t-minus three days until Thanksgiving and we have got to get on this wonderful, carb-loaded ball. Over the past few weeks I have shared a couple of my new favorite recipes and now it's time to finalize those menus. Below is a collection of all my holiday favorites, new and old, from the past few years. Enjoy! spicy pumpkin hot chocolate - The perfect cup for sipping as you cozy up on the sofa for the Macy's parade. thanksgiving punch - A non-alcoholic sangria that will bring life to any appetizer spread. apple cider slushies - While you are roasting, mashing, and hostessing, put your husband on slushie duty. sparkling cranberry clementine cider - The flavors here play so well with a classic Thanksgiving dinner. stilton pecan truffles - My take on the classic cheese ball. 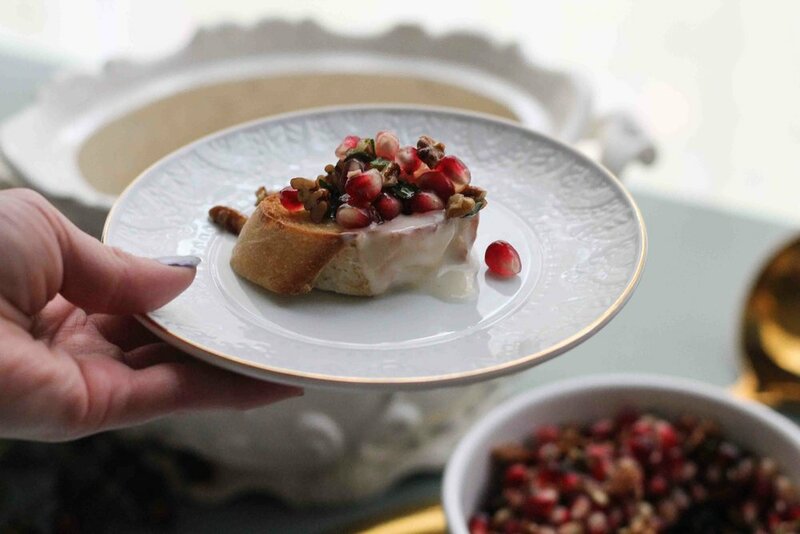 brie fondue with pomegranate relish - Some of my favorite moments are when everyone is clustered around the kitchen island dipping and spreading. This is the perfect dish to gather around. balsamic roasted grape crostini - This has been one of my standby appetizers for years, I even served it at my wedding. It is always a crowd-pleaser. baked caramelized onion dip - My favorite dip ever. Enough said. pear, bacon, and brussel sprout warm salad - Everyone will love this fresh, autumnal take on brussel sprouts. autumn salad - You know, in case you want a carb break but still need potatoes in your life. brie macaroni and cheese - Not a classic side, but always a good idea. cranberry orange muffins with pecan cinnamon streusel - I think these muffins would be such a fun replacement for yeast rolls this Thanksgiving. 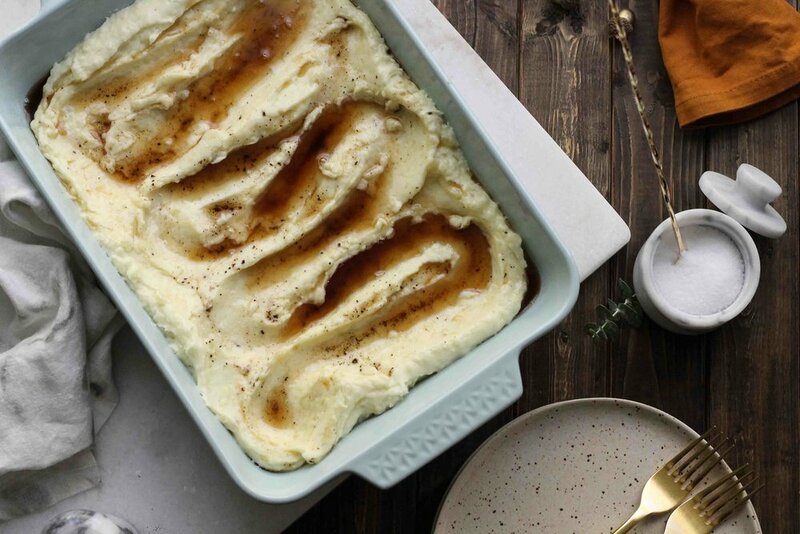 brown butter mashed potatoes - The only mashed potatoes you will ever need. They are life. cranberry lime pie - So delightfully unexpected. There's a gluten-free version too! eggnog custard pie - Our favorite. pumpkin mousse pie - My 2017 take on pumpkin pie. There is hazelnut brittle. It is a good thing. chocolate custard pecan pie - I have made this pie every Thanksgiving since I posted it. So good! pecan pie bars with cranberry dark chocolate shortbread - If you feel like breaking out of the pie pan. mama’s pumpkin roll - A family tradition. brown sugar & ginger roasted pears with vanilla cream - Something a little lighter that will even please your vegan cousin. Wishing you the most wonderful of Thanksgivings! I am so thankful for you.